Bill Bryson’s fantastic tale of hiking the Appalachian Trail has finally arrived on screen: a mere seventeen years after it was first published. The book was in essence a collection of tales and anecdotes linked to the 2,168.1 mile Appalachian Trail that runs from Maine through to Georgia via rugged trails up and down a couple of mountains while exploring some fantastic state/national parks before reaching the end of the road. Robert Redford plays Bill Bryson who has aged a bit since Bill wrote the book in the nineteen nineties. Robert does a fantastic job of hiking along the trail accompanied by the ever dependable, lived a life and wearing it not so well, Nick Nolte who doesn’t even smoke or drink throughout. Bill Bryson’s wife is played by everyone’s nanny when in trouble, Nanny McPhee who is perhaps better known as Emma Thompson, and she is suitably British as is Bill’s real life wife Cynthia whom Bill met while working in the United Kingdom in the 1970s. 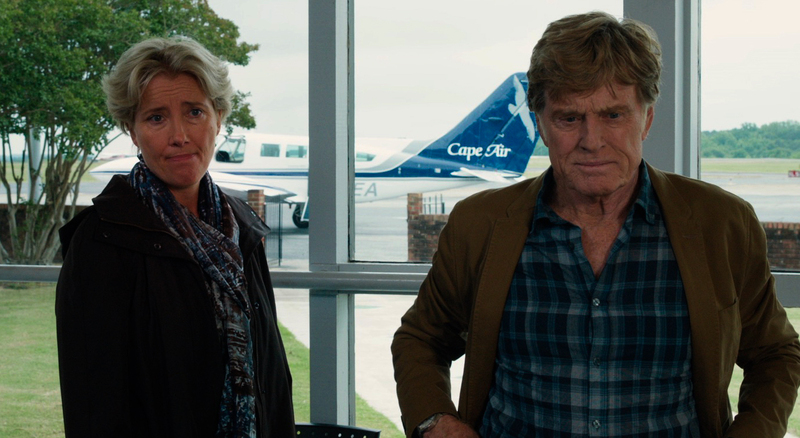 The thing is Robert Redford is 79 and Emma is a relatively young 56. Now Robert is either ageing rather well or, perish, the thought our dear Emma isn’t. Now if you wanted to go for the authentic English accent, and didn’t want 66 year old Meryl stepping in with a funky accent there’s the dames. You’re almost spoilt for choice as you have Maggie Smith and Judi Dench at 80, with Helen Mirren slinking in at a modest 70. And remember everyone loves a dame no matter how old they are. Imagine if it were the other way round with Robert’s (or should I call him Bill) wife being played by an actor of 102? I don’t want to call him Robert or Bill but would rather stick to Sundance. It was almost a sad moment when Bill was stuck on a rocky ledge with Stephen Katz, and they don’t jump as Sundance did in Butch Cassidy and the Sundance Kid but wait for salvation from up above. Not quite a god just a couple of full on hikers ready to help. SPOILER ALERT: Still on the bright side they don’t get shot in Bolivia either. And just for the sake of irony Emma Thompson plays a 77 year old in her next film “The Legend of Barney Thomson”, the directorial debut of actor Robert Carlyle.